Let’s face it – marketing your brand can get really expensive, really fast. For small businesses, though, the only way to stay in the game is to grow your company and continue bringing in a profit. With so many small businesses failing, you can’t help but wonder if it’s due to the fact that they didn’t market properly or didn’t have the financial means of promoting themselves. 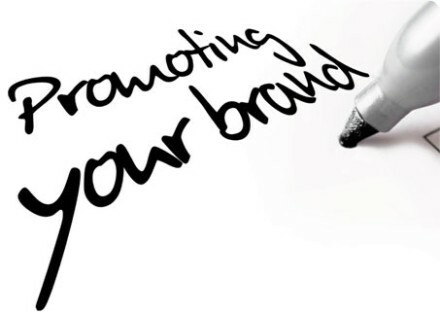 Let’s take a look at some great, inexpensive ways to promote your brand without spending a fortune. Though there’s no set number or percentage that a company should spend on advertising, most don’t spend more than 7% of their budget on it. Larger firms typically spend more and small businesses spend less, but 7% is the average. Luckily, with the use of technology today, advertising doesn’t have to cost an arm and a leg. Start a blog – Every business should have a blog, especially smaller businesses. Blogs are one of the best ways to get your business in front of millions of potential customers – and it doesn’t have to cost you a dime. A blog is a direct way to interact with like-minded businesses and people who would find value in your product or service. You can answer customer questions, get to know other businesses, and promote your product or any sales going on at any time of day. Get Involved with Social Media – It’s understandable that you may not want to have a Twitter or Facebook account for your business, but unfortunately it’s necessary for survival in today’s world. Everyone is online and that’s not going to change anytime soon. By utilizing all (free) forms of social media, you’re making yourself competitive and getting your company directly in front of the people who need to see it. Develop a User-friendly Website – A company website is different from a blog. A blog allows you to get to know your customers on a personal level and interact with other businesses. A company website is where customers go to find the most up-to-date information regarding your business and product. As a general rule of thumb, the easier the website is to navigate and the more user-friendly it is, the more successful it’s going to be. If it takes forever to load or if users have a hard time figuring out where to go, they more than likely will not return to your site. Finally, one of the best (and free) ways of promoting your brand is simply by being a good business. If you develop a poor reputation from the get-go, you’re going to have a hard time being successful. People want to do business with honest, reputable companies. Most people like helping out small businesses by doing business with them, if they know they have a good reputation. Don’t cheat your way to the top. Slow and steady is the best way to grow a business intended on lasting for the long-run.